Outfitters is New Zealand's leading distributor of quality product for travel and outdoor adventures. We source world leading brands to supply New Zealand's outdoor, travel, sports and travel medicine specialist retailers. Lowe Alpine® takes its name from the Lowe brothers, the founders of the brand. Greg Lowe, along with Mike and Jeff are a family of climbers and mountaineering enthusiasts from Utah, USA. SteriPEN is the world’s leading manufacturer of ultraviolet, handheld water purifiers. SteriPEN purifiers quickly and easily make safe drinking water available for travel, outdoor recreation, and home emergency kits at a fraction of the cost of bottled water. 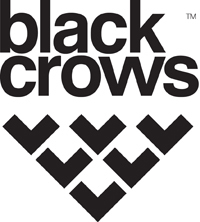 Black Crows is an independent French freeski brand from Chamonix. Founded in 2006 by pro freeskiers Camille Jaccoux and Bruno Campanet, Black Crows was born out of a desire to collide beauty and efficiency into skis. TexEnergy, the leading off-grid power compnay. Designing, developing and manufacturing groundbreaking and award-winning primary-source personal power. Our unique power solutions use wind, solar and crank technologies, creating power wherever and whenever you need it. We understand that travel is more than the destination; it's also the journey. That's why our story starts with the journey of a lifetime. In 1965 we took our fledging brand to the top of the work - Mount Everest. That sense of discovery never left us and we've been busy ever since, exploring new places, meeting new people, and road testing our kit to make sure it's the perfect companion. There's much more to our outdoor clothing than first meets the eye. We produce and continuously improve innovative fabric technologies to develop the performance of our outdoor wear and travel clothing, so that you have the very best protection, wherever you're travelling, and whatever the climate you encounter. Nordisk is a Danish company designing, producing and marketing outdoor equipment for both extreme performance and leisure use. The aesthetics of Nordisk is rooted in the Scandinavian design tradition, and every tent, sleeping bag, mat and bag is simple yet functional, made from cutting edge innovative and technical materials. Nordisk has more than 100 years of experience and more than 1000 years of proud Nordic legacy.